If you are buying an Intense and want it to arrive with tubeless already set up, add this product to your basket. Our expert mechanic, Ollie, will ensure you're ready to roll on new bike day! The Tazer means more riding and more fun. 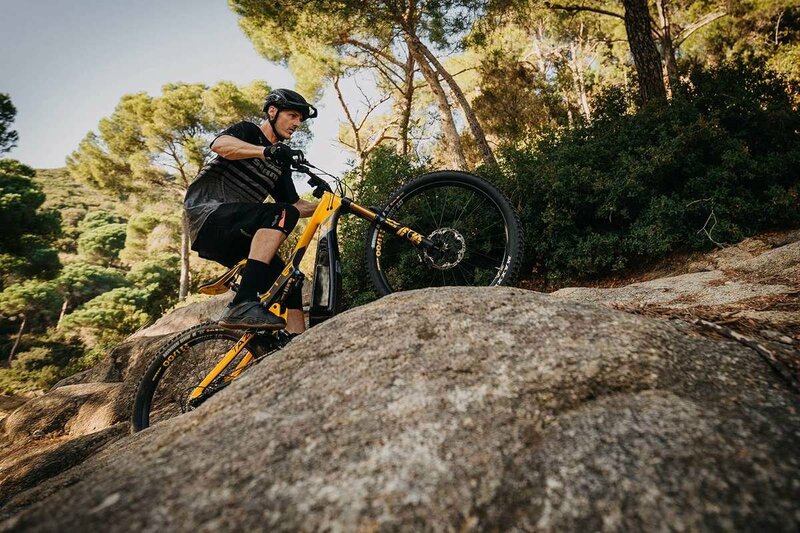 The efficient Shimano motor gives you a serious boost when the trail turns upwards, so you’ll have just as good a time taking on technical climbs as descents on the Tazer. This means you can spend less time queuing for the uplift and more time on the trails. Loads more time, in fact – our UK test riders have demolished climbs usually taking 30 minutes in less than 10. Add that saved time to the saved effort courtesy of the E-assistance and you’ll be getting in way more runs before your legs give in, the sun goes down and the cafe beckons. Intense Racing UK elite rider and team manager, Olly Morris, took the Tazer out for a day on the trails. Here’s what he thought. “I first tested an e-bike about three years ago. Being someone who likes fitness and generally doesn't like electrical technology I wasn't expecting to like it. Well, my opinion was changed on that day, but there was a but – geometry, weight and looks weren't the best back then. “Fast forward three years and I was lucky enough to try out the new Intense Tazer. As soon as it was handed to me and I’d turned it on, I smiled and, helped by the low BB and obviously the motor, dropped straight into a wheelie, laughing my way up the road. I knew straight away that we have something special on our hands. 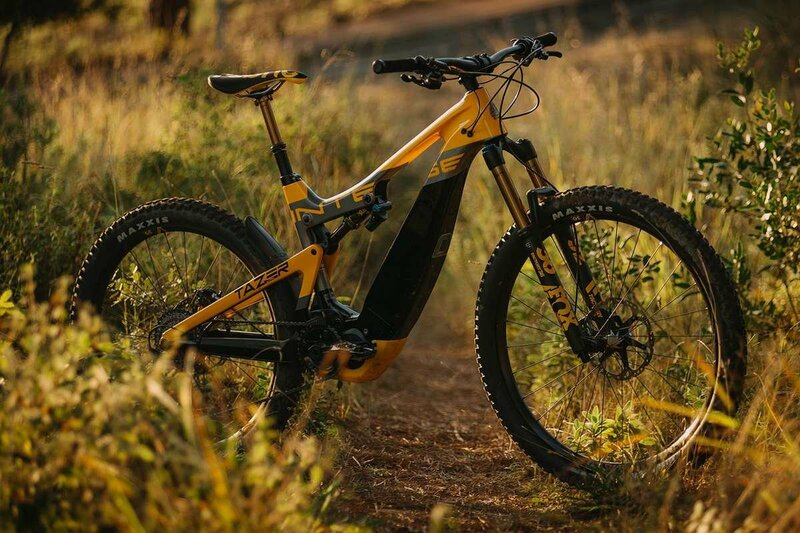 “The first ride up the hill at literally twice the speed and half the energy (we timed it) was awesome, but I suppose expected as it is an E-bike. What was surprising was how little you need to change gear. On the way up I also realised how playful the bike is. Tech hill climbs are such a fun challenge. Think enduro motorbike on a hill climb. I couldn't stop laughing. “On the run down, the bike felt invincible! It was so connected to the ground, I assume due to the super low BB and weight being low as well. It fills you with confidence and makes you want to go faster. The word out of my mouth was ‘hooligan’, it feels like you can ride it like a madman and it stays upright. “My first ride thought on this bike is 'the future is now'. I’m sure people will fight it but when they realise how much fun you can have on it and how creative you can get with hill climbs, wheel spins and rear wheel action, they will soon get involved. “I race elite DH and enduro so I see this bike as a real performance enhancer. Getting more gravity miles on a bike that has geometry to match my Tracer and M29 can only help. My fitness training can then be done on a non-E-bike. Get the sprints done on the turbo in the morning, then spend the rest of the day lapping the local trails on the Tazer. We've teamed up with +3 to offer the first 6 riders to order a Tazer a free day of bike setup and trail training. +3 gets you into your best ever place as a rider through a comprehensive day-long programme of bespoke bike setup, riding technique coaching and strength and fitness instruction. 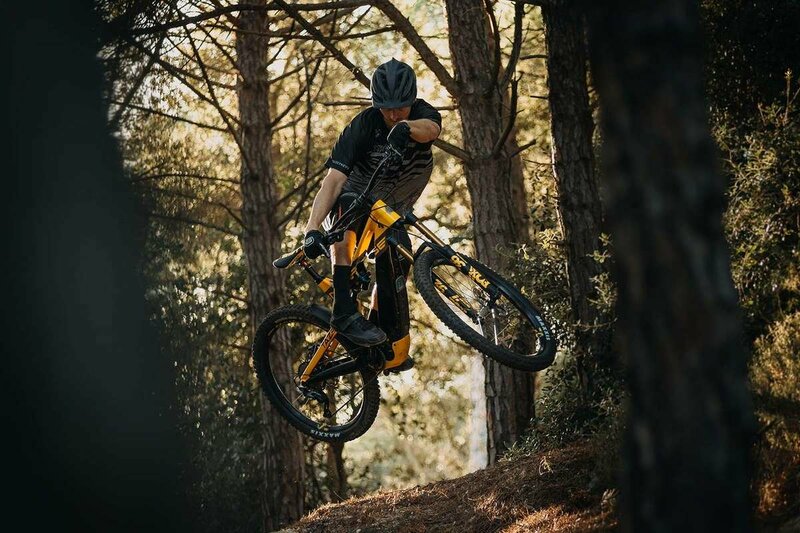 The +3 team will take you through front and rear tyre pressure, fork tokens, shock adjustment, weight distribution, bar width, grip circumference – basically all aspects of your setup to help you get the most out of your new Intense. Changes to setup are then tested on the trails to give you a better understanding of how setup affects riding. Then it's onto riding technique coaching – suited to you as a rider from simple moves to more complex speed-building techniques. 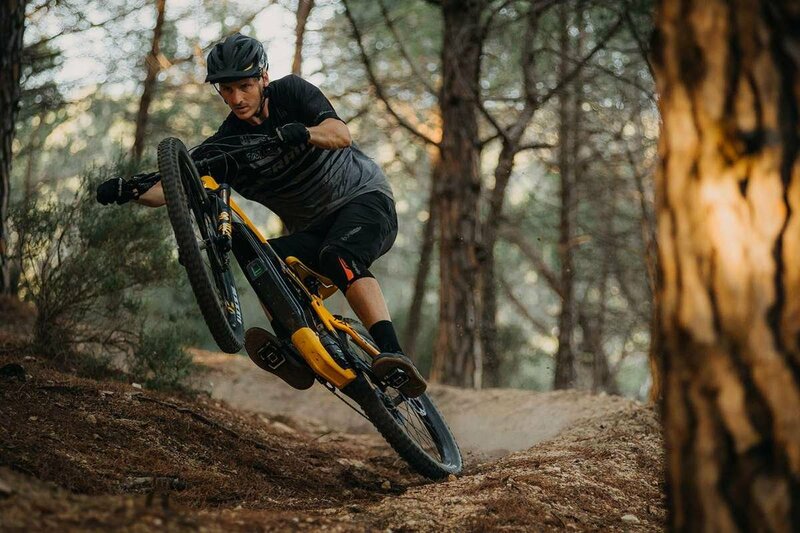 Finally, the day turns to a strength and fitness masterclass from Alan Milway, a coach who's worked with the best in the sport including Danny Hart, the Athertons, Manon Carpenter, Brendan Fairclough and Intense Racing UK's Joe Breeden.